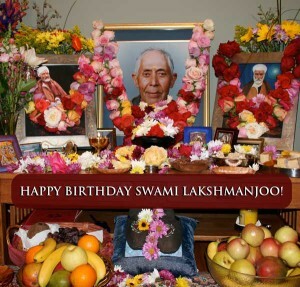 Swami Lakshmanjoo was born in Srinagar, Kashmir on May 9, 1907. Each year on this special day we joyously celebrate and remember his birthday. We will begin this sacred day at 9 am, on the 9th of May, by gathering together to sing special Shaivite hymns, and then at 11 am recite the puja verses Swamiji compiled and instructed us to recite many years ago. The celebration will be held at our Culver City Center in California, U.S.A. The day will culminate with the taking of prashad (holy food blessed by the master) consisting of very tasty traditional Kashmiri vegetarian preparations. On the day following the Birthday, May 10th, to the 13th, the Fellowship will hold its bi-annual four-day study retreat at the Culver City Center. Register here to save your space. 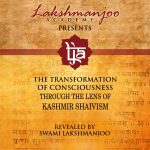 Each day will begin at 9 a.m. with meditation and recitation of Sanskrit verses, personally selected by Swamiji for worship followed by study of Kashmir Shaivism, question and answers, stories of Swamiji, spiritual practice, lunch and snack breaks, yoga and meditation. 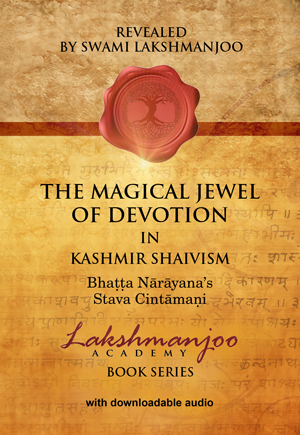 We usually end at around 6 p.m.
For more information visit the Lakshmanjoo Academy events page, or contact us. 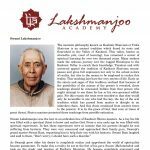 Make sure you sign in to receive our newsletter with information about events from the Universal Shaiva Fellowship and its educational branch the Lakshmanjoo Academy ahead of time.